Grammy-nominated singer-songwriter and producer David Leonard recently released his solo album, The Wait! Born out of personal experiences and set against a backdrop of alternative pop, The Wait tells Leonard’s story of wrestling through heartache, depression, confusion, and redemption with his family and God. 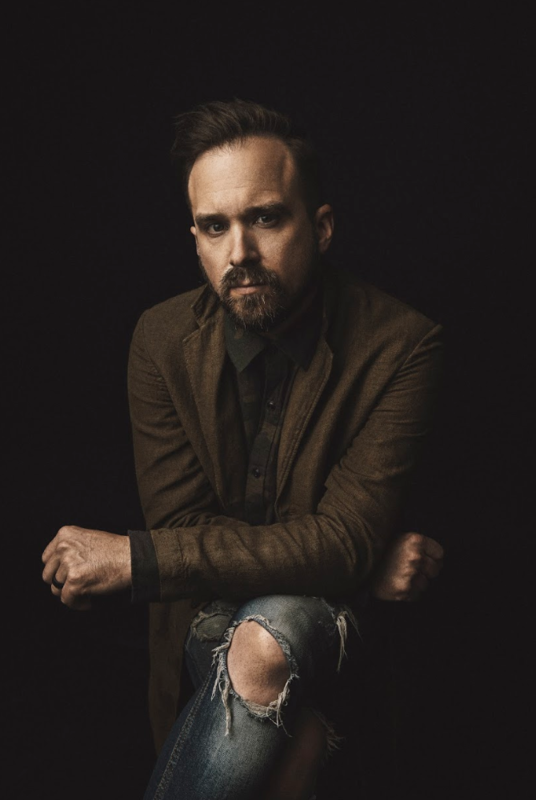 In addition to his former recording and tour work with bands Jackson Waters, NEEDTOBREATHE, and Grammy-nominated duo All Sons & Daughters, Leonard is an acclaimed songwriter. Luckily, IdentifyLA got the chance to speak with David on his success, the album, and the next chapter! Identify LA: Tell us about your first solo album and what prompted the solo album? David Leonard: This record came out of a crazy season for my wife and me. We walked through years of trying to have another child. We have a seven year old and walked through about four years of trying to have another kid. We struggled with infertility for a while and ended up getting pregnant and we had a miscarriage. A lot of these songs kind of spurred out of the season of walking through that. At the same time, I had a band and we were ending that. So, I was walking through identify stuff and loss. A lot of the music kind of came out of that season. IDLA: What can listeners expect? DL: Listeners can expect to hear me. This is a raw and vulnerable record. If you ever wanted to sit and have a conversation with me, this record is pretty much that. There wasn’t anything that we held back on and I feel really proud of what we came up with. I just hope that people can find life in it. It’s tough when you’re walking through situations and hard things. A lot of times we isolate in those scenarios and the hope with this record is that you’re aware that you’re not by yourself in any of this stuff. IDLA: What is your favorite song on the album and why? DL: My favorite song on the album changes every day. Right now I think “Come As You Are” is one that is pretty special to me. It’s a constant reminder to myself that I am worthy of love, and it’s okay no matter where I’m at in life. I am worthy of love and that’s something that’s pretty significant to me on a daily basis. IDLA: Writing a solo album is said to be a vulnerable experience, would you agree? If so, how so? DL: Yeah, this record was extremely vulnerable. Like I touched on earlier, there wasn’t anything we held back on and a lot of the music came out of a crazy season for me. IDLA: How do you connect with your audience through your music? DL: I love talking with people through social media. Anytime anybody sends a message or hits me up, I will always respond. I love hearing how the songs are connecting with people and that’s the full circle moment for me. We sit and do all this stuff, creating all these records, and then they get put out. The interaction with fans is when it becomes real and I love it. I love hearing how people are latching on to it! Hit us up anytime, we love to hear what’s going on with it. IDLA: What advice would you give for someone looking to break into the music industry? DL: I think for somebody trying to break it in the music scene, the biggest part is figuring out who you’re writing songs for and then just write songs for them. Always try to be you and there’s beauty in individuality. I encourage you to stay yourself and have no fear. Create out of freedom and don’t create out of fear. IDLA: What keeps you motivated? DL: I think music is an easy motivator. Everyday I feel lucky because two of my best friends and I get to run a studio together, and we get to create on a daily basis. It’s different stuff all the time. I think music is one of those things that allows you to keep it fresh. It’s real easy to get in the rut of doing the same thing, but we’ve worked really hard at trying to do new things. I think it’s always constantly searching for new things and new sounds. I never want to get to the place where I feel like I’ve got it figured out or this is what it’s got to be. The hunt is kind of the beauty of making records. DL: We’re hoping to get on the road soon! We’ve worked hard and created a short film that went with the record. We created a music video that went with every song and they all tie together to create this film. It was a lot of work kind of building up to it. And now the release has happened and we’re here! The plan is to get out there and play these songs. We’re really excited about it!